When Meghan Markle walks down the aisle of St. George’s Chapel on May 19th, who will be serve as her maid of honor? Meghan likely won’t have a traditional American-style bridal party — royal weddings usually have younger attendants who serve as page boys and bridesmaids. But she could very well still have a maid of honor, as sister-in-law-to-be Kate Middleton did with her own sister, Pippa Middleton. 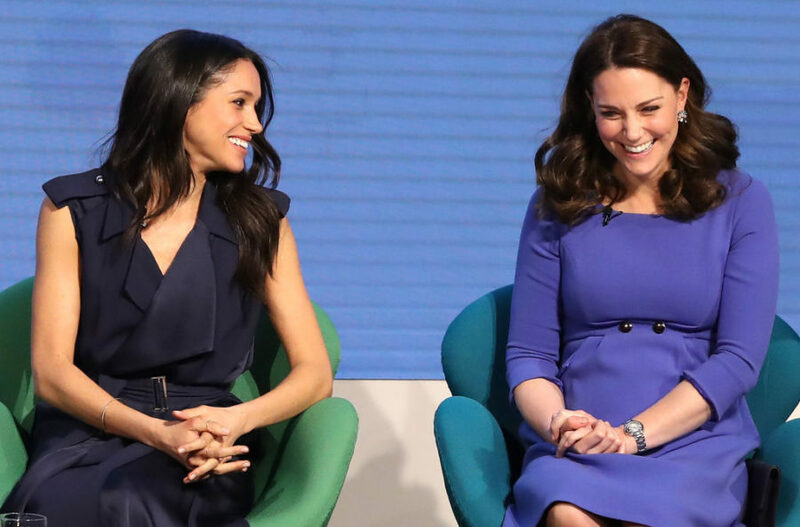 But who would Meghan choose for the coveted role? After all, Pippa went from relative unknown to viral sensation on the day of Kate’s wedding — could the same fame await Meghan’s right-hand woman? Let’s take a look at some of the top contenders for the spot. One of the most likely candidates is Mulroney, who is among Meghan’s closest friends from Toronto. A stylist who is married to the son of former Canadian Prime Minister Brian Mulroney, she has become Meghan’s go-to gal for all things fashion, coordinating her pre and post-Harry looks. We also know she already has Harry’s stamp of approval: The trio hung out in a private box (along with pal Markus Anderson and Meghan’s mom Doria Ragland) at the 2017 Invictus Games in Toronto. Roth and Meghan met as students at Northwestern University and have been friends for over a decade. “We’re the kind of friends who can be 3,000 miles away and still be talking about or thinking the same thing, and even texting each other the same thing at the same time miles away,” Roth told PEOPLE of her friendship with Markle in March 2017. Another major point in Roth’s favor? Meghan was Roth’s own maid of honor a few years back. Rafferty and Meghan co-starred on Suits for seven seasons, playing close in-office pals Donna Paulsen and Rachel Zane. 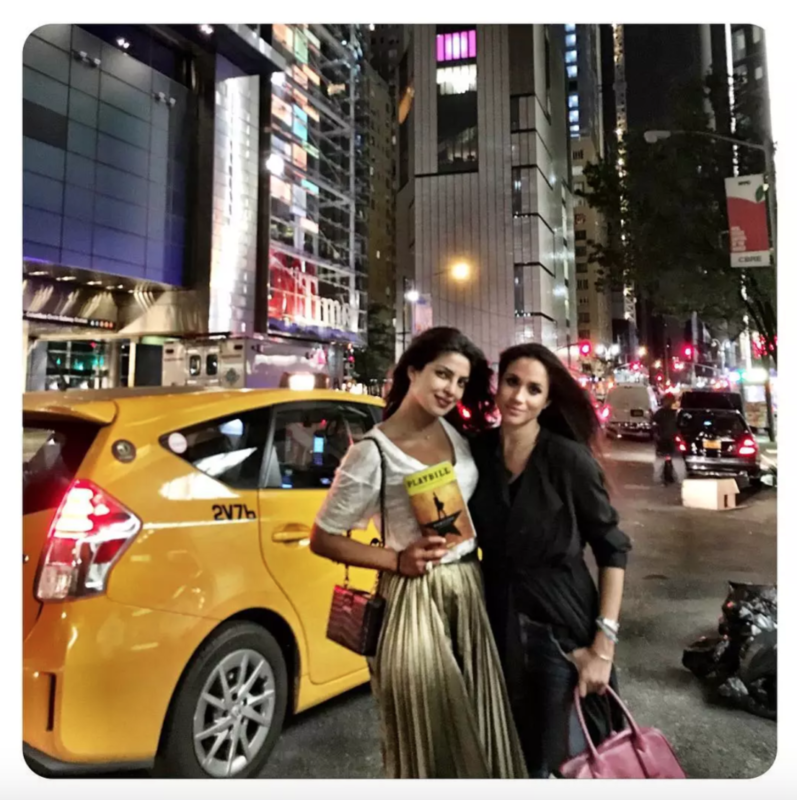 They seemed to have been friends off-set, too, posting selfies together on Instagram (back when Meghan had one! ), but it’s more likely that Rafferty will be on the guest list rather than serving as Meghan’s maid of honor. Considering Kate didn’t serve as the matron of honor for her own sister’s wedding last May, it’s safe to say that she won’t be acting as Meghan’s come May 19th. However, her two eldest children, Prince George and Princess Charlotte, will probably be a page boy and bridesmaid, representing their family in the wedding party. Let’s face it: It it would be shocking if we saw Meghan’s estranged half-sister anywhere near St. George’s Chapel on the big day. The half-siblings are not close, and by Samantha’s own admission, haven’t spoken much since 2008. And since Meghan started dating Harry, she hasn’t hesitated to speak out about her half-sister and is even penning a tell-all book, The Diary of Princess Pushy’s Sister. So no — despite family ties, this one is a non-starter.